Bicycles are known as Bikes in Bermuda. Bicycling can be a great way to explore Bermuda because first it's a small island (totally 21 sq. miles) and second the trails & streets all over the island are ideal for cycling. Just to give you an idea, if you start cycling from the Dockyard (main cruise ship port, i.e. the Kings Wharf area) and go towards east following the South Road, it will take about 2 hours to reach Hamilton City with an average speed of 14mph. The important places in Bermuda like the Dockyard, Hamilton and St. George are well connected by ferry services. So if you don't want to cycle back, or want to start the cycling from a specific place in the island, you can take your cycle on a ferry (most ferries allow cycles on board). For this you will need to pay a small extra charge in addition to the regular fare (if you have a pass, there is no additional charge for bikes). However, don't try this out in a bus though. You must cycle along the left side of the road. And when you come to a traffic circle, you should give way to the traffic coming from right. The roads are quite narrow and winding compared to U.S and for most part there are no shoulders. Some roads (particularly those running north to south) often pass through hilly areas and the gradient can be steep. And in summer, the heat & humidity can be quite high. So it can be quite exhausting even for seasoned cyclist to cycle around the island for long. You should carry water bottles, sun screen lotion and put on a helmet. While you can cycle along any road, there are specific routes and trails that are excellent and popular for cycling. A good idea is to cycle on Sundays when road traffic is less. On week days, there can be heavy traffic on some roads. Although the speed limit is the island is 35kms per hour, most locals would ignore that. It's quite common to find locals driving cars or motor bikes at over 50kmph. This trail is free of vehicular traffic and meant only for walkers and cyclists. The trail is special with its abundance of nature and water views. This used to be the old railway track and now converted into a lovely walking and cycling trail that goes from East to West across the island (with a total stretch of about 18 miles). You can get great views of the north shore line from several places along the trail. Here is a great section in Railway Trail for cycling. Come to Somerset Bridge ferry dock in Sandys at the western side of Bermuda (you can get your bike on a ferry from Hamilton, dockyard or other places). From the ferry dock few yards down the Wharf Drive, you will see signs for Railway Trail. Enter the trail and bike along towards north. You will soon pass by the lovely hill and parkland area of Fort Scaur. And on your right you will get great views of Great Sound water area over a long stretch. You will also pass by Somerset Cricket Club. The trail eventually meets the Beacon Hill Road where you can turn around and head back. The one way distance is about 3kms. Alternatively you can continue (take left on Beacon Hill Road) and get to Somerset Road. From here at a short distance you will reach the lovely Mangrove Bay. A Cycling Tour organized by Island Tour Center (located at Royal Naval Dockyard, Phone: (441) 236-1300; Email: [email protected]) takes you through the above section of Railway trail. In fact they combine a boat trip from the Dockyard to Somerset ferry dock followed by biking through the trail. This 3.5 hours group tour package includes mountain bikes and complimentary soft drinks. South Road is also known as South Shore Road as it goes by Bermuda's South Shore offering magnificent views of South Shore Beaches. You can take South Road from Barnes Corner at Southampton (which is a junction of Middle Road and South Road) and then go towards east. The road goes past Southampton, Warwick, Paget and Devonshire parishes and continues further east all the way up to the beautiful Tuckers Town. The ocean and beach views are best in Southampton and Warwick parishes. South road is on a flat terrain and wider than several other roads of Bermuda, but the traffic along this route can be quite heavy. So cycle on a Sunday if possible. There are some narrow roads called the Tribe Roads. Once the parishes of Bermuda were called Tribes, and hence such names to these roads as they crisscross the parishes between the north and south shores. So, if you are on a Bermuda's main road like the South Road (along the south shore), or the North Road (along the north shore), or even the Middle Road (that goes along the middle of the island east-west parallel to the shores), you will see these narrow meandering tribe roads cutting across and getting into village areas and lush landscapes. There are some 30 such tribe Roads in Bermuda and it can be an excellent experience to explore them on a cycle. Some of these roads are quite desolate and pass through great scenic landscapes. Just pack your lunch and head out early in the morning. You will surely enjoy a lot. Note that in Bermuda bikes usually mean the popular two wheeled scooters. Bicycles are known as Pedal Bikes or Push Bikes. So when you book a bicycle on rent, make sure that you mention pedal bike and not just a bike. You will otherwise end up paying a far higher rate and when you turn up to collect your bicycle, you will get a scooter instead. You will mostly get Mountain bikes in the island which allows you to go anywhere. You can get cycles from most of the island hotels. 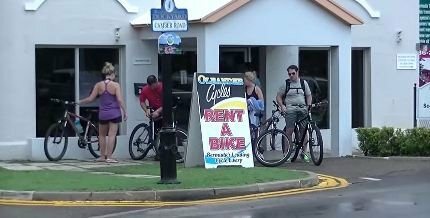 But renting a cycle from a shop in Bermuda will be cheaper. On an average, a bicycle rent in Bermuda costs $30 to $45 a day depending on the type of the bike. A discounted rate is offered for more number of days. The rates usually include Helmet, water bottle holder, lock, map, breakdown service, 3rd party insurance etc. You won't actually find any outlet or company renting only bicycles. Actually some of those who rent scooters also rent bicycles or pedal bikes, but not all. And this is why most of them would have no knowledge about the cycles. So it is better that you test out the cycle, its brakes, gears etc before you settle with one. If possible, carry some basic wrench - that can save you a lot of cost and trouble. The company is in business for nearly 70 years. They offer mid-sized and full-sized mountain bikes as well as electric bikes with modern technology. Located at the Elbow Beach Hotel, 60 South Shore, Paget. They are open year-round 8:30am to 5pm. You can also book online from their website. They offer 21-speed Mountain Bikes (Mono Shock). 1) Main office at Paget on Middle Road, close to the junction with South Road. 114 Middle Road, Paget (2 minutes from Elbow Beach) Phone: 441/236-6247. 3) LF Wade International Airport, St George (Tel: 441/293-6188). Email: [email protected] You can make online booking request through their website. They offer Trek Mountain Bikes. 1) Royal Naval Dockyard (Tel: 441/234-2764) - Convenient for cruise passengers. They offer limited mountain bikes with 15" to 21" frames from their Hamilton and Southampton outlets. 1) Main Office: 74 Pitts Bay Road, Hamilton. 2) The Southampton shop is located in the property of Fairmont Southampton Hotel. This is a relatively new outfit (opened on May 1, 2016) and located at St. George, but also operate from the Dockyard. They offer bicycle rentals by the hour and also on a daily basis. They offer both guided group cycle tours as well as private customized cycle tours. Their signature tour covers several historical sites, beaches, museums, cemeteries as well as scenic areas. It can last from 1 hour to several hours depending on the group requirement. Indicative rate for such group tour is $29 per person for first hour, $10 for each additional hour. Another tour (in St. George for 90 minutes) is themed on sampling Bermuda's local sweets like rum cakes, ice cream, Danishes etc. Rate: $29 per person. All tours include bicycles, helmets, water, snacks and guides. Most guided tours are available at both St. George and Dockyard. 39 York Street (near Kings Square), St. George, Bermuda. People need to be aware that, while Bermuda is an island, it is not flat biking like when biking rail trails here in the U.S. The Bermuda rail trail often takes you on roads and there are definitely some hilly sections. They should also be aware that the Rail trail can be a little tricky to follow at spots and in some sections the trail involves steps and inclines. We took the tribe road down from Gibbs Lighthouse to the Rail Trail (as BikeMap took us) and it was more like following a gully than taking a trail. We had to walk most of this section. Biking on the left was no problem and for the most part neither was the traffic. However I'm sure there would be much more traffic on a weekday and the roads are very narrow in some sections with little to no edge. I'm not sure we would bike it again on a weekday. A really good map (either printed or on your cell phone) is essential! We never got lost but there were some tricky sections. I hope this doesn't make it sound like we didn't have a good time. That's definitely not the case! I researched our bike trip before going and was somewhat aware of what we were in for; the trail was just a bit more rugged in sections than what we expected. Thanks again for replying to my query. It was the final piece to giving us the confidence to do this trip and we're really happy that we did! Great memories! My wife and I are hoping to pedal bike when our cruise ship is in port in late October. We'd be doing this on a Sunday, so I'm wondering how busy are the roads on this day? Our plan is to take the ferry to Hamilton and then bike along the South Road (stopping at some of the beaches) and then back to the Royal Dockyards. Sundays are relatively free of traffic. So, quite doable. Hi, is it possible/practical to pedal bike from Mullet Bay to Crystal Caves? Hi, it is possible. You need to take the Kindley Field road from Mullet Bay Park, go over the causeway, then to Blue Hole Hill road and then lake a left to Wilkinson Avenue. It's around 3.3 miles but this is a busy stretch (on bus and vehicle routes) and not ideal for cycling. HI, we will be docking at King's Wharf/royal dockyard at 2 pm on a Sat in May, leaving 3 pm on Sun. Would like to pedal bike western part of railway trail, see Gibbs lighthouse, and maybe briefly explore some of the nearby beaches. If we were able to be at oleander cycle shop at dockyard when they open at 8:30 am, how long do you think we should plan on it taking us to get to Paget Marsh (along western part of railway trail), not counting our stops? It seems like it would be best to return bikes to their shop at Paget since there's' not really a bike trail in Hamilton. Then we would take a bus to Hamilton and the ferry back to dockyard. It will be just hubby and myself; good fitness level. What would you recommend? 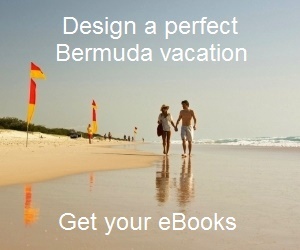 Good morning, We will be in Bermuda between May 4 and 7, with Holland America, docking in Hamilton City. We would like to rent pedal bikes and do part of the Rail trail. Where would be the best place to rent bikes close to the ship and is the trail accessible from that area. Thank you. Hi, You can get bicycle rentals at Hamilton from Oleander Cycles (Gorham Road). Ask your hotel for directions. Sometimes other cycle companies like Eve's cycles also set up temporary shop on Front Street when cruise ships are in port. There is no railway trail in Hamilton city. You can get on to the trail at Devonshire (from Palmetto Road near Palmetto Park). Hi, Oleander Cycles has an outlet at the dockyard itself (5 minutes walk from the cruise pier). Strangely they no longer show bike rental rates (but only scooters) in their website although take online booking request for pedal bikes. Until recently they rented bikes and are possibly still doing so. If you don't get bikes there, then the next nearby place is Smatt's Cycles in Southampton or Elbow Beach Cycles in Paget. You will need to take a bus for that (35-40 minutes). All of them accept advance booking request from their websites. Update August 2013: Oleander Cycles at Dockyard does rent pedal bikes. They are Trek mountain bikes. The cost is: $35 for the first day, $20 for day two and $10 for any days after!